HBO has released a behind the scenes featurette from Game of Thrones season 5 that shows you how the fight at Daznak’s Pit was shot. The scene was one of the most important scenes from season 5. The Sons of the Harpy had surrounded Daenerys and all hope was almost lost, when out of nowhere Drogon entered the pit and rescued Daenerys. 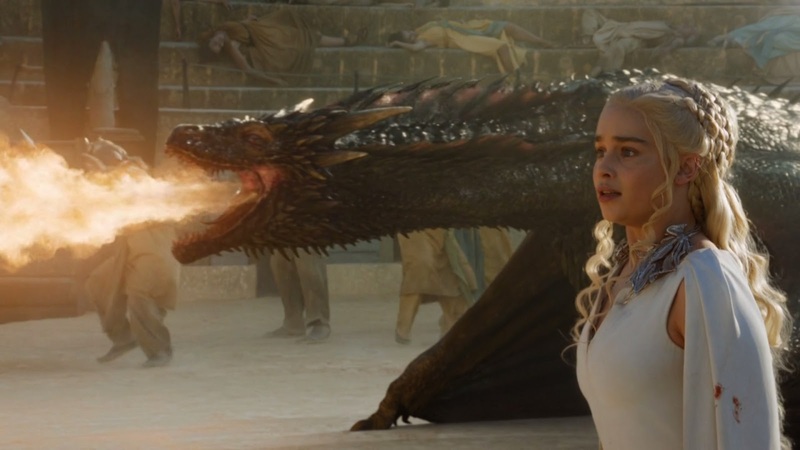 As we can see from this video, the scene was difficult to shoot because of the scale and also considering the fact that Drogon digitally inserted in the scene later. Take a look at the making of the awesome scene.